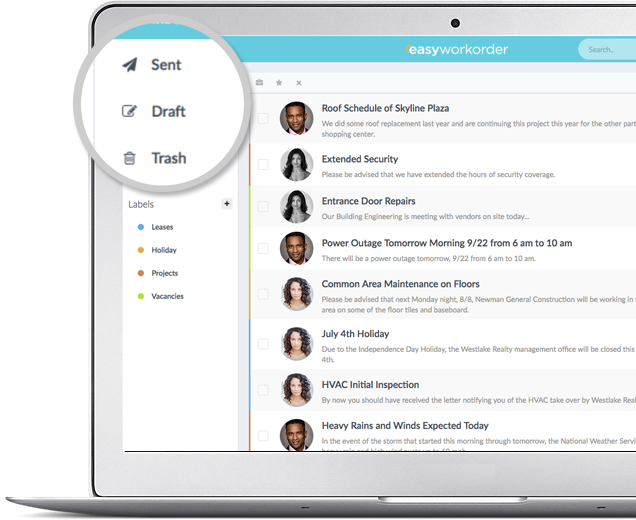 Easyworkorder’s shared messaging inbox is just like your email inbox that you’re so familiar with. 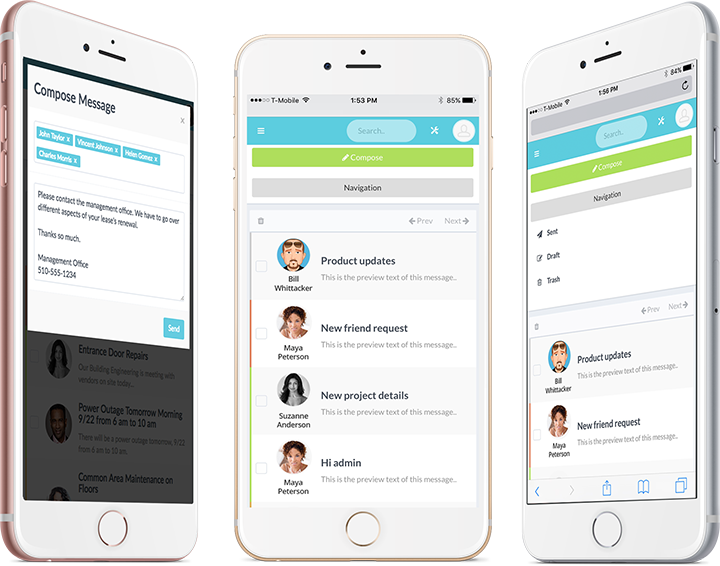 Our messaging facility makes it easy to aggregate broadcast communications with your user community. Intuitive folders make organization even simpler. Need to notify tenants to use the bathroom on the fourth floor because there’s work being done on the first floor? Need to share the decorating guidelines for suites during the holidays? These and many, many more are accomplished as easy as using your email. And, all message can be reused! Do you need to notify all the tenants in all of your buildings? Maybe only the tenants on the tenth floor of one building. Or, maybe just four tenants. It doesn’t matter. You can make that happen, easily. 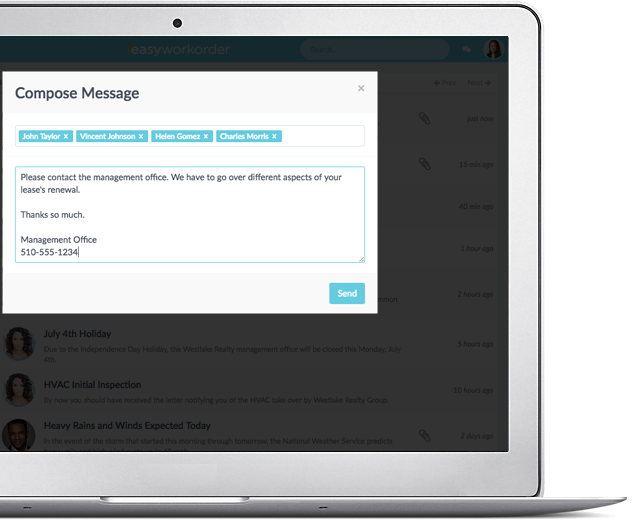 What’s important is that you can notify the tenants that you need to, and aggregate that communication in a central location, available for you or your team to access at a later date- and, possibly reuse it. At Easyworkorder we’re disrupters. Everything we do has mobility deeply integrated. You’re on the go. Your work should travel with you, and not just on your laptop. Desktop, notebook, tablet, mobile phone, Easyworkorder works on them all, with no apps to download.